Is Your Microcirculation System Healthy? You can ensure life-giving blood is circulating properly throughout your entire body! When it comes to the cardiovascular system, most people think in terms of the heart, veins and arteries that carry blood throughout the body. And that’s typical. For decades now, modern medicine has focused on the largest components in the cardiovascular system which includes the heart and the large coronary arteries that feed the heart. But have you ever stopped to ask, “If the cardiovascular system feeds the heart, what exactly feeds the cardiovascular system?” The quick answer is, the cardiovascular system itself. You see, it’s the cardiovascular system that carries oxygen from the lungs and nutrients from the stomach throughout the entire body so they can be used by vital organs, like the heart, but also by the cardiovascular system itself. And that all makes sense. But what many people don’t know is that it accomplishes this by utilizing an incredibly small circulation network called the microcirculatory system. If you’ve never heard of your microcirculatory system, you are not alone. As already mentioned, it’s the heart and large coronary arteries, or the “macrocirculatory” system that gets all the attention. When something goes wrong there, a heart attack or stroke is the likely result. Sponsored Ad: Natural Circulation Solutions! 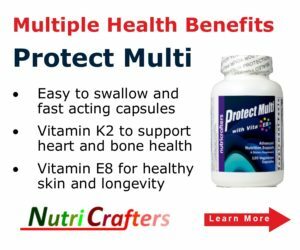 Remove Toxins & Protect Arteries With EDTA and Vitamin K2 Learn More Now At NutriStand! 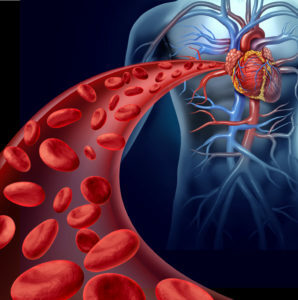 But what medical researchers now know is that poor microcirculation is one of the single biggest contributing factors to the health problems we commonly associate with the macrocirculatory system. In other words, a heart attack is most likely the long-term result of a damaged microcirculatory system. For example, we’ve all heard of blockages in the coronary artery, and we all know those are bad. If a doctor tells you that, in the very next sentence he is probably going to send you to a heart surgeon to schedule by-pass surgery. It’s these atherosclerotic plaques that eventually choke off healthy arteries, preventing blood flow to and from the heart and to and from vital organs. And they might very well have never formed if the vasa vasorum, the tiny blood vessels that feed the arteries and remove waste, had continued to function properly. So you see, all this focus on keeping the large veins and arteries healthy misses the point. It’s the microcirculatory system, the one that contains upwards of 60,000 miles of capillaries, arterioles, venules, and vasa vasorum that needs to be nourished and protected. 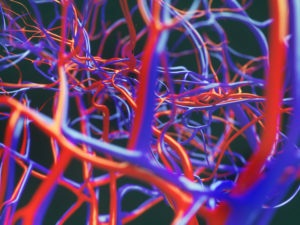 Before we explain how to nourish and protect your microcirculatory system, let’s first look at what threats these small blood vessels face and how they can be damaged. We know that these small blood vessels, just like the large ones, are really just hollow tubes protected by an endothelial lining called an endothelium. The endothelium is made up of a smooth, thin layer of cells that regulates expansion and contraction of vesicles to allow oxygen and vital nutrients to flow in and out of the bloodstream. 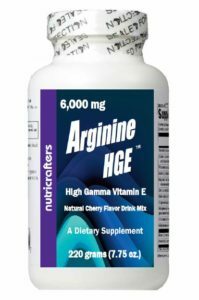 Endothelial dysfunction is one of the biggest threats to the microcirculatory system.3 Under normal circumstances, the body utilizes the amino acid l-arginine to produce nitric oxide that helps to relax the endothelium and allow sufficient amounts of blood to flow. If the nitric oxide production is interrupted, the endothelium can collapse onto itselfand restrict blood flow. Oxidative damage caused by free radicals is another threat to the endothelium.6 Free radicals are reactive molecules that are unstable because they are missing an electron. In an effort to replace their lost electron, they frantically bump into and damage the molecules that make up the cells in your body. In the process, they cause oxidation of body tissues. When a free radical comes in contact with the inner lining of a small capillary, microscopic injuries result. This process is called lipid peroxidation and is recognized as one of the underlying causes of atherosclerosis. Eventually the build-up of fat, cholesterol, toxic metals and other substances at the site of injury narrows the capillary restricting blood flow. The key is to neutralize free radicals before they damage your arteries … and that’s done with antioxidants. Heavy metals are catalysts for free radical oxidation, which is another good reason to remove them before they can set off the chain of events that can harm the endothelium. Other threats to small capillaries and vasa vasorum include elevated blood viscosity, improper blood coagulation, and blood vessel calcification. If the blood is too thick, it won’t flow fast enough to deliver oxygen to—and remove carbon dioxide from—vital organs. When there is a problem with blood coagulation, a thrombus or blood clot can develop. In a small blood vessel, a thrombus can completely cut off blood flow, which can result in the death of surrounding tissue supplied by the vessel. And finally, when the body does not properly process calcium and send it to bones where it is needed, it can accumulate in blood vessels resulting in arteriosclerosis, also called calcification or hardening of the arteries. Chelation comes from the Greek word “claw,” meaning “to grab,” which is exactly what EDTA does. When a molecule of EDTA travels through the bloodstream and gets near a toxic metal such as lead or mercury, it grabs the destructive particle and binds tightly with it, pulling it out of the membrane or body tissue it was embedded in. EDTA supports normal endothelial function by removing heavy metals that impair nitric oxide function.7 It also prevents the production of free radicals that cause cellular damage in the endothelium and other organs throughout the body. Here’s how it works: When metals, minerals and other toxins are in the body, they act as the catalyst for oxidation reactions, including lipid peroxidation. This triggers the production of free radicals. But when EDTA is in the blood, it removes the metals and minerals before they get a chance to catalyze, or start the oxidation reactions. The result? The production of free radicals is dramatically reduced and their destructive influence is prevented. Plus, by removing the lead stores that have built up in the endothelial lining, the production of nitric oxide is restored which allows the blood vessel to expand and contract normally. And while oral EDTA works hard in the bloodstream to remove heavy metals and prevent oxidation, it also does double duty by chelating toxins in the digestive tract before they are absorbed, preventing them from ever entering your bloodstream. 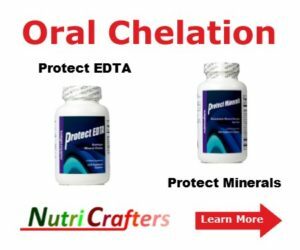 One important note about EDTA oral chelation … while EDTA will chelate toxic heavy metals preferentially, it can also chelate essential minerals as well. 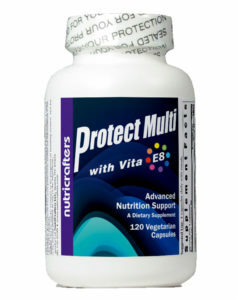 Therefore it is important to supplement with minerals while taking an EDTA oral chelation product. 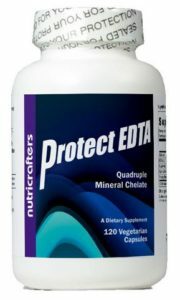 Reputable health supplement companies offer companion products that contain vitamins, minerals and other nutrients that enhance EDTA’s effectiveness and prevent mineral deficiency. 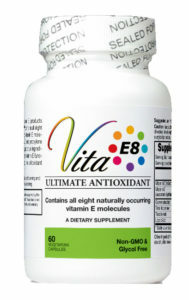 Less reputable companies sometimes combine EDTA with vitamins and minerals in the same capsule. 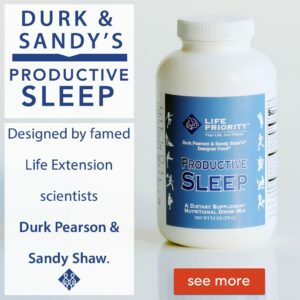 Be wary of these because as soon as you digest the capsule, the EDTA will chelate the minerals included in the capsule, thus defeating the purpose of removing heavy metals from the body. Blood must flow freely through our cardiovascular system, unless injury causes a breach in a blood vessel, in which case, blood must clot rapidly to prevent excessive, potentially fatal blood loss. If clots form too readily, however, blood vessels can become blocked, cutting off the delivery of oxygen and nutrients, which rapidly results in tissue and organ death. Vitamin K-dependent Gla-proteins are responsible for maintaining the delicate balance needed between coagulation and anticoagulation throughout the circulatory system. 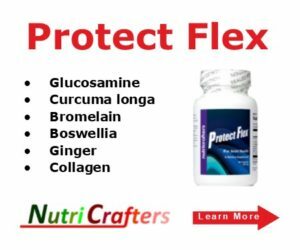 Natural nutritional support for normal, healthy blood flow throughout the body, including the microcirculation system, can be found in the enzyme Nattokinase. Nattokinase is a potent fibrinolytic (anti-clotting) enzyme extracted and highly purified from a traditional Japanese food called Natto. Research has shown that Nattokinase supports normal blood pressure and can prevent and dissolve thrombus or blood clots. Maybe you have heard of deep vein thrombosis which is a blood clot inside veins found deep in extremities or body cavities. A venous thrombus is a clump of blood cells, platelets, and fibrin (clot) which attaches to the inside walls of veins. If the clot stays localized, it can cause swelling and vein irritation. If part of it breaks off, it can cause blockage downstream, or become an embolus and result in a pulmonary embolus. In some instances, deep vein thrombosis may also contribute to other serious medical problems such as heart attack and stroke. 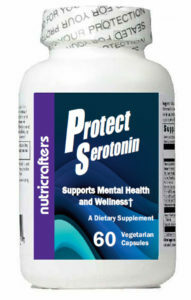 Nattokinase is safe for most people when used according to the recommended dosage. However, some people should avoid Nattokinase. This includes people with bleeding disorders, such as hemophilia, or the group of diseases called hemorrhagic diathesis. Also, people with ulcers, hemorrhoids, or recent major trauma, or those who’ve had neurosurgery or a recent stroke should not take Nattokinase. If you take heparin, Coumadin ® or aspirin, use only under the close supervision of a medical doctor. 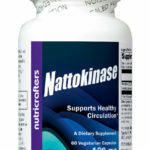 To sum it up … Nattokinase enhances our body’s natural ability to fight blood clots, even in the smallest microcirculatory blood vessel, and has an advantage over blood thinners because it has a prolonged effect without side effects. The perfect combination for microcirculatory health. So let’s recap … it’s the microcirculatory system that feeds and nourishes the macrocirculatory system, keeping it healthy and keeping your entire body disease free. There are nutritional supplements that can keep your microcirculatory system functioning properly. 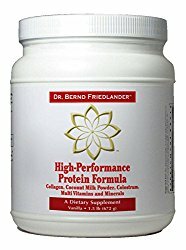 These supplements include EDTA oral chelation to remove harmful heavy metals and toxins; vitamins and minerals to combat nutritional deficiency and replenish essential minerals; vitamins K1 and K2 to ensure healthy coagulation and combat calcification; and Nattokinase to prevent dangerous blood clots. And remember, the oral chelation supplement should be taken separately from the companion supplement containing the vitamins, minerals and other microcirculation enhancers. That way, you are maximizing the health benefits of the supplements, and maximizing your circulation system too. Klein RG, Campbell RJ, Hunder GG, Carney JA. Skip lesions in temporal arteritis. Mayo Clin Proc 1976 Aug;51(8):504-10. Staub D, Schinkel AF, Coll B, Coli S, et al. Contrast-enhanced ultrasound imaging of the vasa vasorum: from early atherosclerosis to the identification of unstable plaques. JACC Cardiovasc Imaging. 2010 Jul;3(7):761-71. Urso C, Caimi G. Oxidative stress and endothelial dysfunction. Minerva Med 2011 Feb;102(1):59-77. Lustberg M, Silbergeld E. Blood lead levels and mortality. Arch Intern Med. 2002;162:2443-2449. Gordon G, Brown DJ. 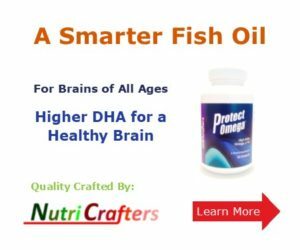 Detox With Oral Chelation: Protecting Yourself from Lead, Mercury, and Other Environmental Toxins. Smart Publications: 2009. Gordon GF. EDTA and chelation therapy: history and mechanisms of action, an update. Clin Prac Altern Med. 2001;2(1). Edwards DA, et al. Hibernation and Stunning of Peripheral Arterial Myocytes: Clinical Reversal by EDTA Chelation Therapy (poster presentation). In Vascular Endothelium Pharmacologic and Genetic Manipulations [eds: Catravas JD, Callow AD and Ryan US]. NATO ASI Series, Plenum Press; 1998:255-257. Uotila L. The metabolic functions and mechanism of action of vitamin K. Scand J Clin Lab Invest Suppl. 1990;201:109-17. Seyama Y, Wachi H. Atherosclerosis and matrix dystrophy. J Athero Thromb 2004;11(5):236-45. Demer LL, Tintut Y, Parhami F. Novel mechanisms in accelerated vascular calcification in renal disease patients. Curr Opin Nephrol Hypertens. 2002 Jul;11(4):437-43. Suzuki Y, Kondo K, Ichise H, Tsukamoto Y, Urano T, Umemura K. Dietary supplementation with fermented soybeans suppresses intimal thickening. Nutrition. 2003 Mar;19(3):261-4. Fujita M, Hong K, Ito Y, Fujii R, Kariya K, Nishimuro S. Thrombolytic effect of nattokinase on a chemically induced thrombosis model in rat. Biol Pharm Bull 1995 Oct;18(10):1387-91.